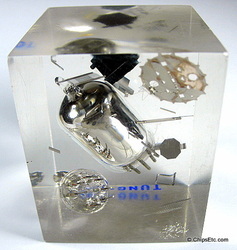 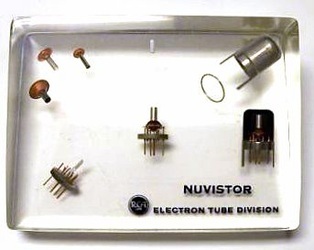 The Vacuum Tube (also know as an Electron Tube) is a device used to amplify, switch, modify, or create an electrical signal by controlling the movement of electrons in a low-pressure (vacuum) space. It was invented by an English electrical engineer and physicist named Sir John Ambrose Fleming in 1904. 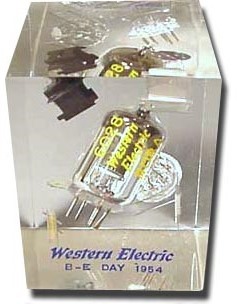 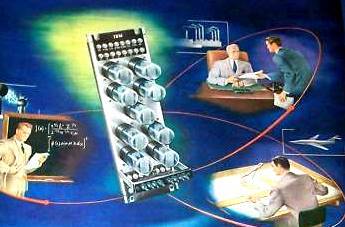 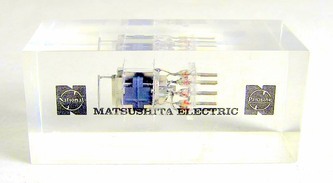 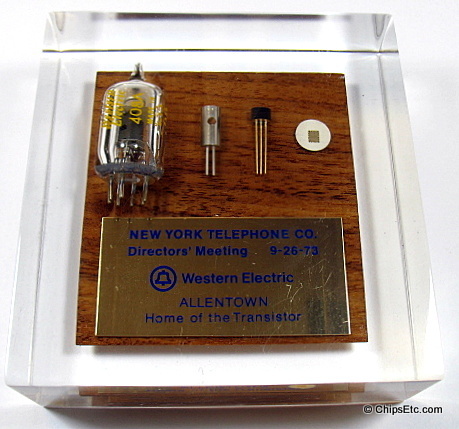 Vacuum tubes were vital components of any electronic circuit between 1915 to 1950. 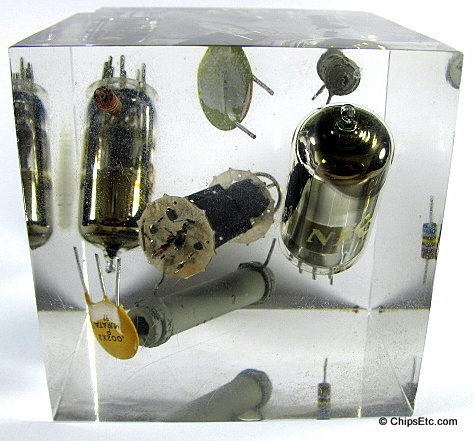 They were used in many electronic devices, including radios, telephone networks, sound recording / amplification & reproduction, radar, televisions and computers. 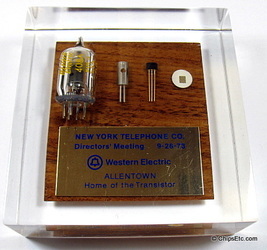 When early, first generation computers started being developed in the 1940's it was an obvious choice to use Vacuum Tubes to perform their logical calculations, and some models would also use vacuum tubes as a way to store computer memory. 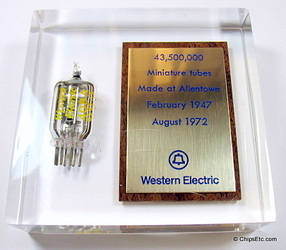 The first general purpose computer to use vacuum tubes, the "ENIAC" developed by the US army in 1946, contained an amazing 17,500 vacuum tubes! 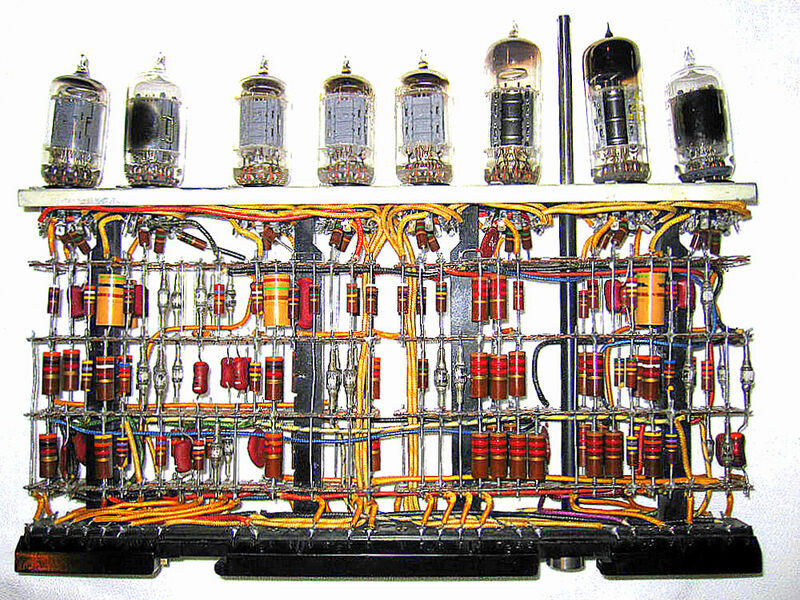 Vacuum tubes would be used extensively up until the Mid 1950's when they started to become replaced by Discrete Transistors. 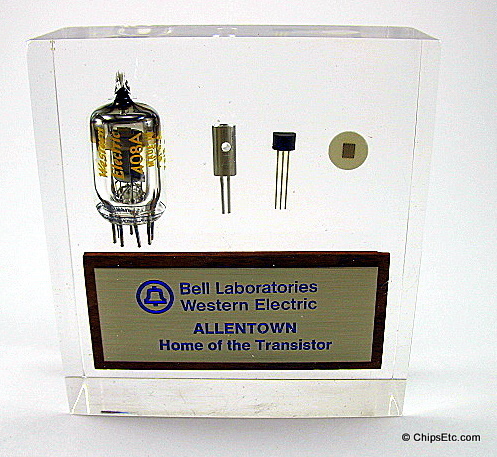 In 1954, Bell Labs built the first computer that didn't use vacuum tubes, the transistorized "TRADIC" computer for the U.S. Air Force.